Purple is the first color I see. Then, I hear the cheering. And then, the lines: all the way down the block, crowding the sidewalk so full that regular pedestrians could barely make it through. A group of thousands of people stand in a sort-of-neat line, eagerly waiting for 6:00 to arrive, watching the sun set over a horizon of skyscrapers. I’m lost as to where I should even start. Where even is the end of the line? Before I can find an employee to ask for directions, I’m handed a photocard and mini poster, both sporting my favorite member of the group, Cha Eunwoo. “What’s even happening here?” I hear a passerby say, pushing herself out of a bundle of AROHAs. I almost find myself laughing. Oh, poor sidewalk pedestrian, this isn’t even the beginning. Aroha: love in Maori. But it’s also the name designated to the fans of the six member K-Pop group ASTRO. AstRO Hearts All fans in English, but in Korean, the ARO comes from ASTRO and the HA comes from the word “hana” meaning “one” or “only”. In short, it’s supposed to be interpreted as “To ASTRO, the fans are their ONE and ONLY.” Sweet, isn’t it? I can confidently say that they love their fans, getting to see them live in concert. 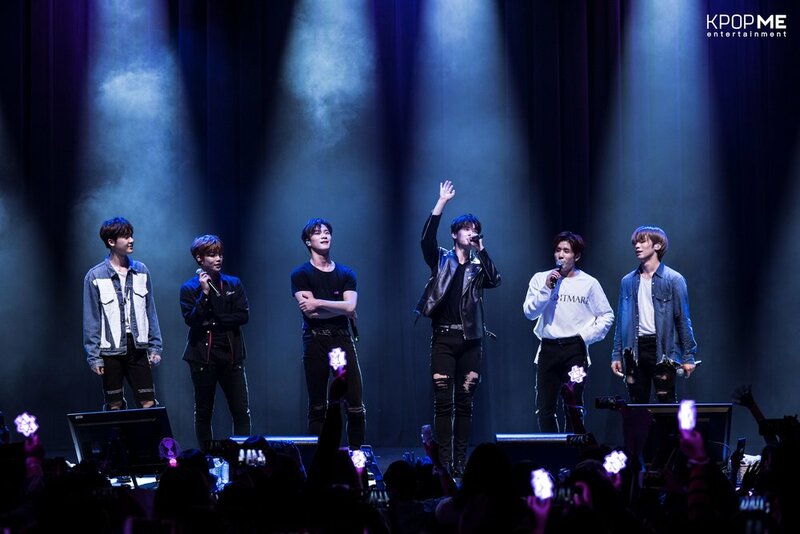 Every Aroha in The Novo on February 4th would agree; those six boys truly made it the best birthday ever. Looking back on that day, it may very well have been one of the best days of my life so far. As I walked to the inside of the building, I was getting high-fives and the brightest smiles I’ve ever seen from strangers that I’d never met before. 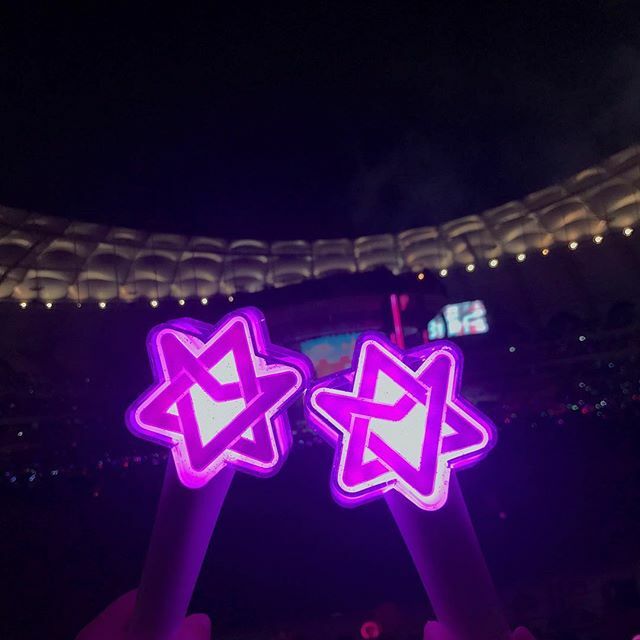 Bright purple lightsticks in the shapes of stars greeted me as I took my seat, seeing the empty stage. Music from all of ASTRO’s mini albums played, and we were all singing the fanchants (in which the fans began cheering the names of the members of the groups, then singing little parts of the lyrics of the song) before they had even come on stage. Suddenly, the lights go dark. And, within the shadows, you can see the faint outline of a white sweatshirt. Madness ensues. The thing is with the ASTRO concert was that they can only perform so many songs in a row; with full dance choreographies and singing live, it gets tiring. Luckily, that meant that in between every pair of songs performed, the boys actually got to sit down, do a Q&A, play some games, and talk to us. Really, even though I wasn’t right up against the stage, it was incredible being able to interact with them. Seeing Sanha tease the older members, hearing Eunwoo’s English, going crazy at MJ’s vocals, laughing at Moonbin’s commentary, and watching JinJin and Rocky dance together? There will never be an experience that matches up to that. Surprisingly, it got even better. Because of my tickets we had bought, there was actually a included bonus: I got to do a hi-touch! Let me explain: A hi-touch is one of the ways that fans can very quickly get to interact with the group. The members of the group stand in a line on one side of a table while a line of fans walks past, and each fan gets to high-five each member. Almost no words are exchanged except for “thank you so much!” or “I love you!”, and every fan is given the most sincere smile. As I approached the line, with Rocky in front, my heart was about to explode out of my chest. I smiled, mumbled out a flustered “todaywasamazingthankyousomuch” and high-fived him, only to blank out. Completely. As soon as my hand touched his, I remembered nothing else. And suddenly, I was in the stairwell. I must have just been that excited; hilariously enough, I can’t recall anything from those ten seconds. ASTRO was the first K-Pop group that I ever became a fan of, and seeing them in concert was really special. The fact that I was so lucky to live so close to Los Angeles amazes me; idol groups don’t usually tour in the United States, and if they do, they go to huge cities like LA and New York City. I may have only spent around three hours in The Novo, surrounded by fans just like me, but it felt like a lifetime. For me, I think this closed the gap between fan and artist: like any celebrity, it’s easy to forget that they’re also human. Watching them onstage, seeing them mess around and react to the fans just gave me a sense of familiarity. I think any fandom can agree that being around people that like the same thing as you is like being surrounded by family, and I’d like to thank ASTRO for bringing us together.